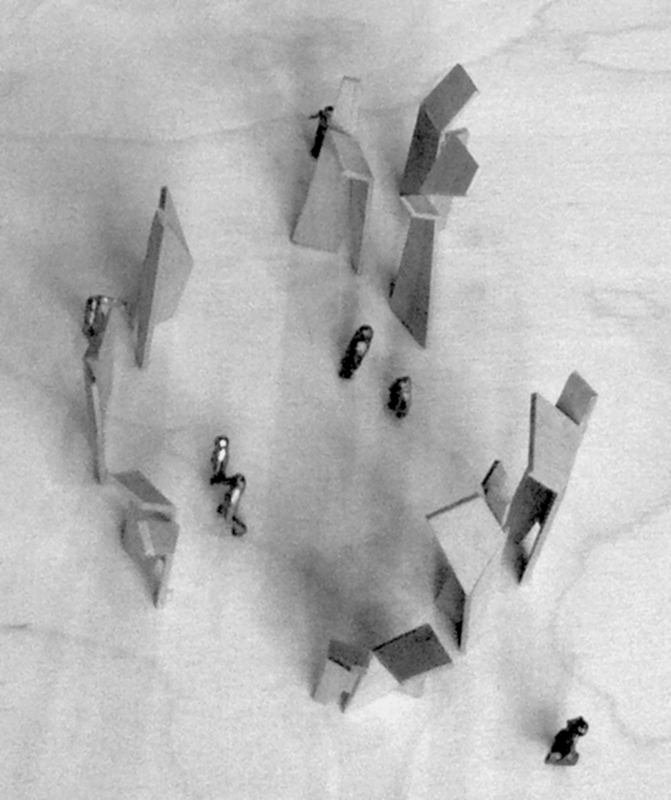 Boise, Idaho–based architects CTY Studio and design company Ecosystems Sciences have won an RFP to design a new public sculpture for Boise’s soon-to-be-renovated City Hall Plaza. 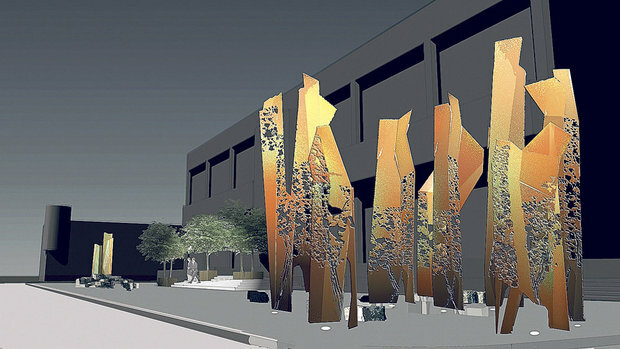 Both the sculpture and the plaza are expected to be completed by fall 2015. The $200,000 sculpture, called Terrain, Civics, Ecology, will be made up of nine 20-foot-tall steel panels, arranged in a circle to create an enclosure that pedestrians can walk through. Abstracted silhouettes of the area’s cottonwood trees and their leaves—Boise is known as the “City of Trees,” and the most significant is the Cottonwood—will be cut into the slates, changing their profiles as people pass by and with the shifting sunlight. 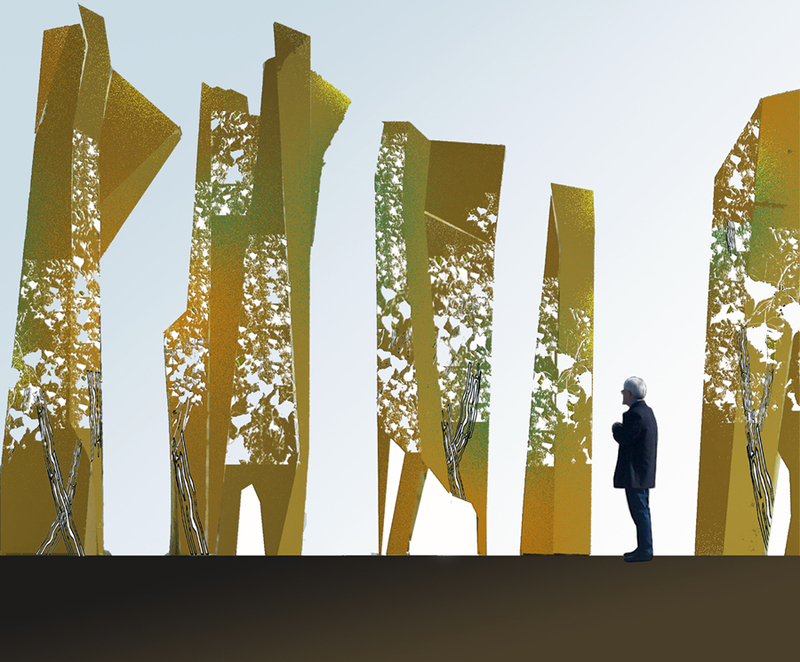 Integrated lighting will make the sculpture glow at night. “The longer I looked at it, the more I enjoyed it. It kept surprising me,” was one of the public comments, according to Boise Weekly. City Hall Plaza is being renovated by local engineering firm CH2M Hill. Its public art has been a long time coming—almost four years in fact. Two previous RFQs failed to produce a winner, but this team’s plan finally resonated with a jury made up of local officials and residents. “We wanted to not only incorporate an ecological consciousness, but establish a civic identity for the plaza,” said CTY partner Dwaine Carver. “It’s really about Boise,” added Zach Hill, principal at Ecosystems Sciences. “The idea is to really showcase City Hall’s importance to the city.” Which is a good thing, considering City Hall and its plaza have never been the civic magnets that the city has wanted.